Yesterday, on campus, there was a used book fair for charity. A friend of mine asked me if I wanted to go and I jumped at the opportunity. I left with quite a few books: a cookbook, a book on ballet positions, a book of sketches of the city, and my personal favorite, Etiquette by Emily Post. Have you seen the Woody Allen movie “Midnight in Paris”? One of the themes in the movie is lusting after the golden days, and how no matter how romantic the past seems, it’s not all that much better than today. I may dream about living in the 20s but someone from the 20s probably dreamed about living in the 1890s. I can tell you one thing. 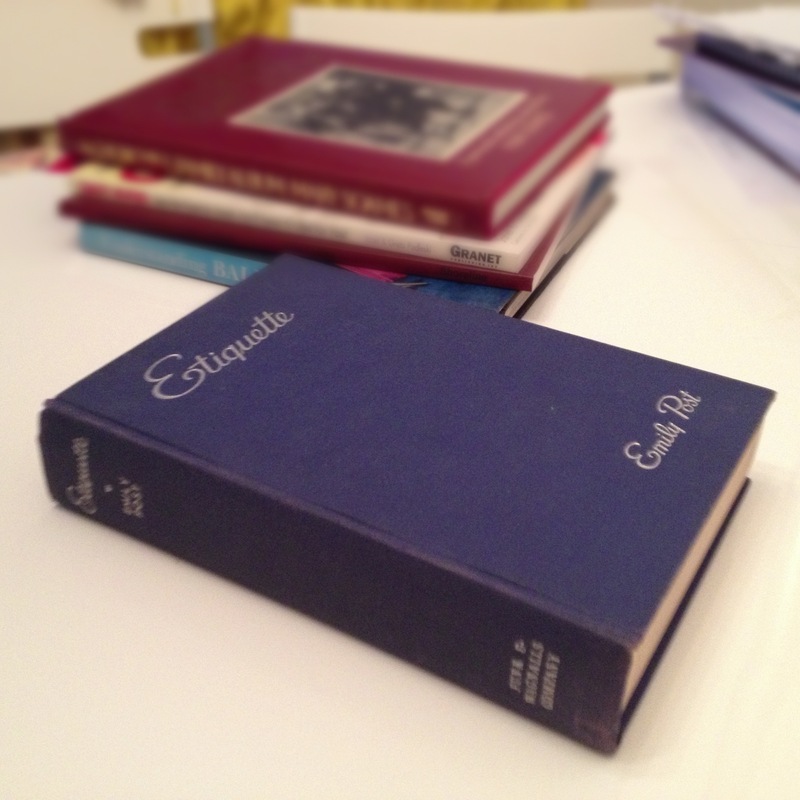 This etiquette book has effectively killed all dreams I had of the roaring 20s. In the age we live in, I can, as woman, study engineering never mind travel alone. Don’t be jealous of every attention your best boy friend pays to another girl. The more you show your dislike for this “interest” the more jealous he is likely to try to make you. Women giving crappy relationship advice to other women seems to be timeless.